RING IN THE NEW YEAR AT KIMERA RESTAURANT! Kimera Restaurant and Lounge will host a special New Years Eve event on December 31st, 2010 featuring three- and four-course prix-fixe menu options along with a DJ and dancing all through the night. · The first seating for dinner offers reservation times from 5:00 to 7:00 p.m. (guests must clear their table by 8:00 p.m.). For $45 per person guests will receive a three-course prix-fixe dinner, along with access to the lounge all night. · The second seating for dinner offers reservations times from 8:00 p.m. to 10:00 p.m. At a cost of $75 per person, guests will receive a four-course prix fixe dinner along with access to the lounge and access to their dinner table all night. · In Kimera’s trendy lounge a DJ will keep the party going after dinner, so patrons can dance their way into 2011. · Complimentary valet parking is available. TIME: 5:00 p.m. to 1:30 a.m.
Pee Wee’s Famous Hot Dogs and Hamburgers has introduced many new tastes to Orange County, and now they bring an authentic Mexican Hot Dog to the menu. Some say the Mexican Hot Dog originated in Tucson where it remains popular among the locals. Others claim the birthplace was in the northern Mexican state of Sonora. Some contend it's more likely a product of Mexico City. Regardless of the ancestry, the delicacy begins with a Bolillo, a Mexican-style French Roll bread. The all-beef hot dog is wrapped with bacon for added flavor and cooked together which allows the juiciness of the bacon to saturate the sausage. Finally, a wide array of toppings finish off the Mexican Hot Dog in just about any way the customer has a craving for. While some may choose the traditional hot dog condiments such as pickles, ketchup and relish, the adventurous (or those looking for a truly genuine experience) will select grilled or pickled jalapeños as a base and add crema (a Mexican crème fraiche). Pinto beans, salsa, pico de gallo, cilantro, and avocado are all authentic additions. With cheese such as Mexican Cotija or shredded yellow cheese, Pee Wee’s Mexican Hot Dog is one that will send your taste buds south of the border. Come into Pee Wee’s Famous Hot Dogs to try out this new sensation, or enjoy any one of their other fan favorites that include Chicago-style, the Hawaiian Dog, the Polish Dog, and the Supreme Chili Dog. In the mood for a hearty hamburger instead? Customers can choose between several types of patties, including 100 percent ground chuck, ground turkey, chicken breast or veggie burger. Pee Wee’s also offers private reserve fries, sweet potato tater tots and hand-made onion rings to accompany the entrée. Quench your thirst with a delicious ice-cold homemade lavender limeade or fresh lemonade. Pee Wee’s Famous Hot Dogs and Hamburgers is located at 5942 E. Edinger Avenue in Huntington Beach. This is at the corner of Edinger and Springdale in the Marina Village complex. The telephone number is (714) 846-3100. To see the full menu, visit the website at www.peeweesfamous.com; become a fan of the restaurant on Facebook, or follow Pee Wee’s at Twitter @PeeWeesFamous to receive daily updates and specials. ‘Tis the season for celebrating and Newport Beach’s Island Hotel is always a luxurious and lively venue for gathering with family and friends at Christmas and to ring in the New Year. Plus, convenient to Fashion Island, the award-winning hotel offers complimentary gift-wrapping services and is a Toys for Tots drop-off center. Reservations recommended. To book a table, please call (949) 760-4920. Christmas Eve – Friday, December 24, Seatings from 6 to 8:30 p.m. Chef Bill Bracken has created a festive four-course Christmas Eve Prix-Fixe Menu with starters such as Roasted Celery Root and Potato Soup with Smoked Shrimp; entrée options such as Sautéed Striped Bass with Roasted Beets and Butternut Squash; or Bone Marrow Crusted Filet of Beef with Cheesy Mushroom Risotto; and a sweet finale such as Spiced Chocolate Terrine with Bourbon Ice Cream and Caramel Sauce. Christmas carolers will entertain. Price is $88 adults; $42 children 12 and under (excludes tax and gratuity). Palm Terrace’s delectable Christmas meal of Truffle Roasted Filet of Beef and Roasted Breast of Turkey and a variety of celebratory seasonal starters, sides and desserts. Live harp music. $75 adults; $38 children 12 and under (excludes tax and gratuity). Reservations required. Please call (949) 760-4920. Palm Terrace Restaurant will offer an elegant five-course menu created by Chef Bill Bracken and live piano music. Price is $125 per person (excludes tax and gratuity). Seatings from 7 to 10 p.m on Friday, December 31. Palm Terrace Lounge will also be a lively spot to toast the New Year in style – with a selection of New Year’s Eve bar bites from Chef Bill Bracken, desserts, live entertainment and dancing, party favors and champagne toast at midnight. Price is $110 per person (excludes tax and gratuity). From 9 p.m. to 1 a.m. on Friday, December 31. Saturday, January 1, 2011 – served from 7 a.m. to 2 p.m.
Ease into the New Year with a leisurely breakfast of Palm Terrace’s favorites, such as Banana Stuffed Brioche French Toast, Poached Eggs on Dungeness Crab Cakes with Truffle Hollandaise, Island Pancake Napoleon and “Steak-n-Eggs” (beef tenderloin, poached eggs, béarnaise and garlic herb fries). For reservations, please call (949) 760-4920. A complimentary offering to both hotel guests and our local clientele: Shop Fashion Island with its array of gift-giving solutions (and temptations) and upon your return to Island Hotel, gifts will be elegantly wrapped and placed directly into your car. While your gifts are being wrapped, unwind at Palm Terrace Lounge and sip on a signature seasonal martini or perhaps a quaff from our extensive Champagne-by-the-glass menu paired with Chef Bill Bracken’s savory small bites. Parking and gift-wrapping services are complimentary. For the 13th consecutive year, Island Hotel’s festive lobby is an official toy drop location for The Marine Corps Reserve Toys for Tots annual holiday campaign. Guests, locals and area businesses are encouraged to donate new, unwrapped toys for deserving children. Orange, CA (December 2010) – In an effort to keep its cuisine seasonal and exciting, Haven Gastropub in Orange has launched a winter menu that is both inventive, while staying true to the concept of serving quality “gourmet comfort food.” Executive Chef/Partner, Greg Daniels, has introduced original menu items, ranging from his version of “liver and onions” and Waygu Tartare, to Oxtail Poutine and Cassoulet. According to Managing Partner/Beverage Director, Wil Dee, each new menu item can be paired with one of the 14 beers always present on draft or one of more than 60 bottled craft beers. Dee adds that many of the dishes pair nicely with Haven’s selection of unique spirits and worldly wine list, with nearly 50 wines by the glass. Haven Gastropub’s menu can be found online at http://www.havengastropub.com/eat.html. Located in the heart of Historic Old Towne Orange, Haven Gastropub is a unique concept where “pub meets gourmet grub.” Recently named “Best New Gastropub” by Draft Magazine, which touted it as one of three new restaurants across the country that have “breathed new life into the old gastropub concept.” Gastropub, a British term blending gastronomy and pub, sprouted in the 1990s and has seen a revival as the idea behind the concept was to provide a place where friends and family could gather in a warm comfortable setting and enjoy good conversation with quality food and spirited libations. Haven boasts 14 beers on draft and more than 60 bottled craft beers. In addition, Haven serves more than 50 specialty single-malt whiskeys, scotches and bourbons; and a worldly wine list, with nearly 50 wines by the glass. Almost every dish on the menu has a beer or wine pairing suggestion. Paired to elevate and complement the overall dining experience, handcrafted microbrews including Belgian varieties are offered alongside a distinct selection of boutique wines, scotches, whiskeys and bourbons. No less than fourteen handcrafted beers flow on regularly rotating taps,including offerings from such breweries as Mikkeller, Brewdog, Stone, Russian River, and The Bruery. Haven Gastropub is located at 190 South Glassell Street in Old Towne Orange. Hours of operation are 11 a.m. – 2 a.m. daily. Happy Hour menu offered 3 p.m. – 6 p.m. Monday – Thursday and 11 p.m. – 1 a.m. daily. Walk-ins welcome. For more information or to make reservations, call 714.221.0680 or visit http://www.havengastropub.com (on Facebook, http://www.facebook.com/HavenGastropub). Tustin, CA (December 2010) – The Winery Restaurant & Wine Bar will host a New Year’s Eve Masquerade on Friday, December 31, 2010. Guests are offered a choice of two seatings, both featuring a four-course dinner prepared by Executive Chef/Partner, Yvon Goetz, and live entertainment by five-piece R&B band “Family Style” (begins at 10 p.m.). Those who do not wish to indulge in a full dinner may opt to enjoy a more party-friendly atmosphere with complimentary appetizers in the Vineyard Masquerade Lounge! For the four-course dinner, guests may make reservations for the first seating, priced at $79 per guest (service ends 7:30 p.m.) or second seating, priced at $155 per guest (service begins 8:15 p.m.). The second seating will include dancing to live music by “Family Style” at 10 p.m., party favors, and a Champagne toast to ring in the New Year at midnight! Prices exclude tax, gratuity and beverages. Entry into the Vineyard Masquerade Lounge begins at 9 p.m. and is priced at $35 per guest, which includes appetizers and a Champagne toast. The area will be cigar friendly, for those wishing to take advantage of The Winery’s cigar offerings. Price excludes tax, gratuity, cigars and beverages. Space is limited and reservations are required by calling 714.258.7600. Located at The District in Tustin, The Winery was named “Restaurant of the Year” by the Orange County Concierge Association in its first two years in business. The Winery Restaurant & Wine Bar pairs contemporary California regional cuisine, with a hip, vibrant, sophisticated setting, to create a cutting-edge dining experience, with highly decorated Executive Chef & Partner, Yvon Goetz, directing a team that delivers a culinary experience straight from the Wine Country. The restaurant’s wine list, which currently offers 650 selections, changes weekly, offering diners a wide range of varietals from around the world. Guests can look into and even tour the restaurant’s 800-square-foot, climate-controlled cellar, which can hold up to 6,500 bottles! The wine program is led by William Lewis, Managing Partner & Sommelier, a Level II Certified Sommelier with The Court of Master Sommeliers, the examining body for the Master Sommelier Diploma. The Winery offers a warm and passionate menu complimented by the perfect wines -- endless possibilities and something to suit every palate. The Winery Restaurant & Wine Bar is located at The District in Tustin (2647 Park Avenue, Tustin, California 92782). For more information, call 714-258-7600 or visit http://www.TheWineryRestaurant.net or http://www.facebook.com/thewineryrestaurant. Italian Specialties offered Friday, December 24, 2010, 11 a.m. – 9 p.m.
Controfiletto Toscano – Mesquite-grilled ribeye (18oz) served with sautéed spinach, roasted tomato, potatoes and porcini mushrooms on the side. Reservations are strongly recommended by calling 949.553.1333. To view the menu online, visit: http://www.pregoristoranti.com/Holiday_Menu.pdf. Prego has all that one could wish for in a fine Italian restaurant; an elegant, yet comfortable atmosphere, attentive service and cuisine that strikes the perfect balance between traditional authenticity and innovative preparations. It's the perfect setting in which to enjoy good conversation and feast on the best cuisine that Italy has to offer. Adding a splash of Mediterranean color to California, Prego's ambience blends the warmth and rustic charm of old-world Italy with the electricity and vibrance of a cosmopolitan restaurant. Streamlined arches and columns, gleaming copper, polished hardwood floors and an abundance of Cherrywood furnishings produce an elegant and sophisticated, yet comfortable, atmosphere. A lively exhibition kitchen allows diners to view the artful chefs creating their delicious dishes. With a capacity to seat between 150 and 250 guests, Prego features al fresco dining, full bar, banquet rooms and catering services. Executive Chef & Partner, Ugo Allesina, brings more than 25 years of experience to his position. Born and raised in the region of Piemonte, Italy, his experience at a number of prestigious hotels and restaurants in Italy, Germany and the United States has enabled him to develop his outstanding skills as a premiere Chef of Northern Italian cuisine. The menu emphasizes regional Italian cuisine, featuring authentic pizza baked in a wood-fired oven, freshly made pastas, grilled fresh fish, spit-roasted meats and fowl, and an extensive list of wines from Italy and California that will please even the most discriminating wine connoisseur. Homemade desserts and pastries make a perfect ending to an unforgettable dining experience. Prego has received fine-dining awards from the Restaurant Writers' Association and the Wine and Food Society of Southern California. It has been a culinary destination for more than two decades. Prego Ristorante is open for lunch and dinner daily and is located at 18420 Von Karman Ave in Irvine. For more information or reservations, call 949.553.1333 or visit http://www.pregoristoranti.com or http://www.facebook.com/pregoristorante. Kappa Ramen in Anaheim is off to a great start! Chef Eiji Kanazawa’s basic broth recipe uses chicken and pork bones. Noodles are made according to Kappa Ramen’s specifications by Sun Noodle. Extra toppings ($.50 to $2 each) include: egg, kimchi, avocado, spinach, diced tomato, bean sprouts, corn, scallions, garlic, ginger. Extra chashu and noodles (kaedama) also available. Make any broth spicy for $1. I had the Kappa Signature Ramen and really enjoyed it. It was pretty spicy! If you're looking for a great bowl of ramen in OC, you should definitely try this place! Tuesday to Thursday 11:30 a.m. to 2:30 p.m. and 5:30 to 10 p.m.
Friday and Saturday 11:30 a.m. to 2:30 p.m. and 5:30 to 11 p.m.
Irvine Spectrum Center, already known as one of Orange County’s favorite dining destinations, has announced that two more popular restaurants will open in Summer, 2011. Wood Ranch BBQ & Grill and Capital, which both enjoy other successful locations, will further expand the array of international dining options at Irvine Spectrum Center. Family favorite Wood Ranch BBQ & Grill will open its third Orange County location at Irvine Spectrum Center, and first OC location to serve both lunch and dinner. 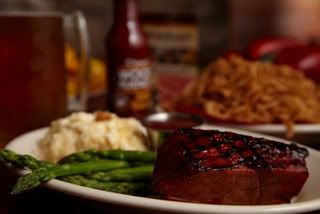 The restaurant offers a premium-casual American menu featuring award-winning barbecue. Menu items include Certified Angus Beef Steaks and Burgers; Prime Rib; slow-roasted, mesquite-grilled Tri Tip Roasts; Premium American Baby Back Ribs; Carolina Pulled Pork; and locally-raised fresh Chicken. Fresh fish such as Idaho Trout and Atlantic Salmon will be on the menu, as well as numerous unique salads, and desserts designed to be shared. In addition, Wood Ranch offers a children’s menu that has been named “One of the Best Kids Menus in America,” by Restaurant Hospitality magazine. Wood Ranch will also have a full bar, including an extensive list of reasonably-priced wine. The 6,188 square foot restaurant will be located in a new space adjacent to Edwards Irvine Spectrum 21. Capital, known for its Chinese dim sum and seafood restaurants, will open a second Irvine location featuring casual dining with an East meets West theme. Along with Chinese fixtures and modern artwork, Capital will have multiple TV screens in the bar to watch your favorite teams. The full bar will offer beers on tap, sake, wine and specialty drinks. Capital will serve more than 100 different types of dim sum, including classics such as Shiu Mai, Shrimp Har Gow, Steamed BBQ Pork Buns and Shanghai Dumplings to name a few. On the dinner menu, guest will enjoy favorites such as House Special Lobster, Alaskan King Crab, Honey-Glazed Walnut Shrimp, French-Style Filet Mignon and Peking Duck. Located near Nordstrom, Capital will occupy more than 8,000 square feet with an additional 1,000 square foot patio. Santa will be visiting Leatherby's Cafe Rouge this Saturday December 11th from 8:30 AM-2:30 PM! Bring the kids down to meet Santa and have an incredibly good buffet brunch! Price is $39 per adult, $16 for children under 12. Kids under 3 are free! Huntington Beach, Calif. – Partygoers will step into this slice of paradise for three nights, December 29-31, 2010, as the champions of exotica, WAITIKI, welcome the new year at Don the Beachcomber. The Huntington Beach restaurant haven created by the great mixologist Donn Beach, father of all things tiki, will honor its founder with three nights of stunning libations, and live music, featuring exotica living legend Robert Drasnin, as well as leaders of the ‘90s tiki revival, Combustible Edison. The luscious mix that is exotica—the blend of tropical soundscapes, Latin dance grooves, and popular jazz—is an adventuresome and musically intricate mix. Often mistaken as kitsch, exotica flows from the vibrant post-war Hawaiian music scene and draws on everything from jazz to folk ballads, to second-generation Japanese club bands made of traditional Asian instruments, to Puerto Rican percussionists who came to the island mid-century. "The Jazz Sides of Exotica"
"Coronation of the Voodoo Masters"
"The New Sounds of Exotica"
For New Year’s Eve, the WAITIKI 7 gets swanky, in a danceable homage to Combustible Edison, pioneers of the renewed interest in non-rock instrumental music from the 50s and 60s. The evening will feature the first performance of Combustible Edison’s music since the band’s demise a decade ago, with help from Brother Cleve and The Millionaire. At midnight the ballroom will transform into a full-scale tiki dance party. WAITIKI and Combustible Edison will reveal their mixologist side with original craft cocktails that will join Beach’s creations on the drink menu. The WAITIKI 7 are dedicated to the celebration, preservation, and resurgence of exotica music, and the related tiki culture. W7 is modeled after the classic groups of Martin Denny, Arthur Lyman, and Gene Rains. The WAITIKI 7 is the only modern group that performs exotica completely live and acoustic—just like in the 1950s. And like their predecessors, the musicians of W7 all have extensive jazz, classical, and Latin training and chops. 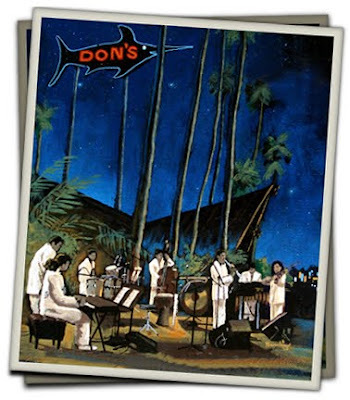 The Don the Beachcomber restaurants originated in the ‘30s in Hollywood and grew to incorporate 16 restaurants under the brand umbrella. Donn Beach was responsible for creating and spreading tiki culture around the world. As defined by Beach, Tiki is a relaxed ambiance consisting of exotic, rum-based cocktails and tropical décor, complete with island-themed fabrics, torches, “hula” girls, palm tree motifs, masks, carvings and Asian-influenced food. Donn Beach gained much acclaim for his creation of rum drinks with a tropical twist, unknown then in the tropics, but now offered at every mainstream watering hole and bar. His famous rum cocktails include the Navy Grog, Vicious Virgin, Rum Cow, Dr. Funk, Zombie, Missionary's Downfall and, of course, Don's Original Mai Tai. Although none of the early Don the Beachcomber restaurants exist today, thousands of other establishments opened following his lead. Unfortunately, many of these were poor imitations of his restaurants and tried, unsuccessfully, to duplicate the flavor of his drinks, losing focus on tiki culture, and playing up more of the kitschy décor that physically defined the locations. Under the ownership of Arthur and Delia Snyder, Don the Beachcomber is experiencing a rebirth with its first new restaurant in 20 years. The goal is to replicate the experience of the original tiki restaurants made popular in the ‘40s and ‘50s throughout Southern California, and in Orange County, where Don the Beachcomber opened its doors in Corona del Mar in 1969. Don the Beachcomber is open daily, serving Lunch from 11:30 a.m. – 3 p.m. (Mon-Fri: Don's Seafood Shack menu; Sat & Sun: regular lunch menu), and Dinner from 4 p.m. – 9 p.m. (Sun-Thurs) and from 4 p.m. – 10 p.m. (Fri-Sat). Kids 12 years & younger eat FREE with the purchase of one regular adult entrée during dinner hours Monday through Thursday in the dining room area. The Dagger Bar tiki lounge is open during normal business hours and till 2 a.m. on Friday and Saturday. The restaurant features a special Happy Hour menu in the Dagger Bar from 4 p.m. to 7 p.m. Sunday – Thursday (until 10 p.m. every Monday). Don the Beachcomber is located at 16278 Pacific Coast Highway, Huntington Beach, CA 92649. For more information or to make reservations, call 562-592-1321 or visit http://www.DonTheBeachcomber.com/ (on Facebook: http://www.facebook.com/donthebeachcomber; on Twitter: http://www.twitter.com/donthebeachcomber).